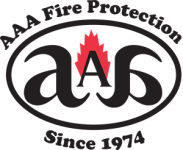 AAA Fire Protection Services provides quality commercial kitchen fire protection and suppression services at affordable rates to commercial kitchens in Concord and throughout the East Bay Area. We install and maintain kitchen hood systems and restaurant hood fire systems for commercial kitchens that are upgrading to UL300 standards. We offer emergency services for restaurant exhaust cleaning and the replacement of exhaust hood filters. Our ongoing services include a grease filter exchange service that swaps out grease hood filters for UL300 compliant baffle 18-gauge galvanized units. We also schedule grease exhaust cleaning services on a bi-annual basis so that your commercial kitchen is always 100 percent in compliance with UL300. With over 40 years of serving the East Bay Area and the restaurants throughout Concord, we have learned how to offer quality services at affordable prices. We work closely with UL 300 on a daily basis. We understand California fire code and how to keep your commercial kitchen in compliance with both. For more information about working with our expert team, just give us a call at (800) 543-5556. We are happy to answer questions or to provide a comprehensive quote for your business.